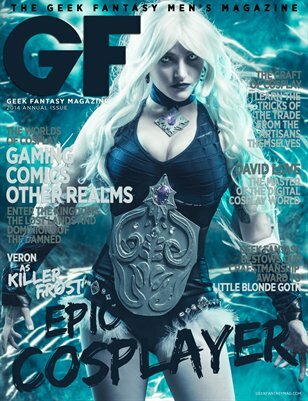 Killer Frost Cover - by Veron 88 Pages of Cosplay. Geek Fantasy's Epic Cosplayer issue is a massive compilation of incredible works by talented and creative individuals with a passion for their fandom. From Comic Books and Superheros, to Anime, Video Games and more, our annual issue has surprises and delights from all walks of the geek culture.